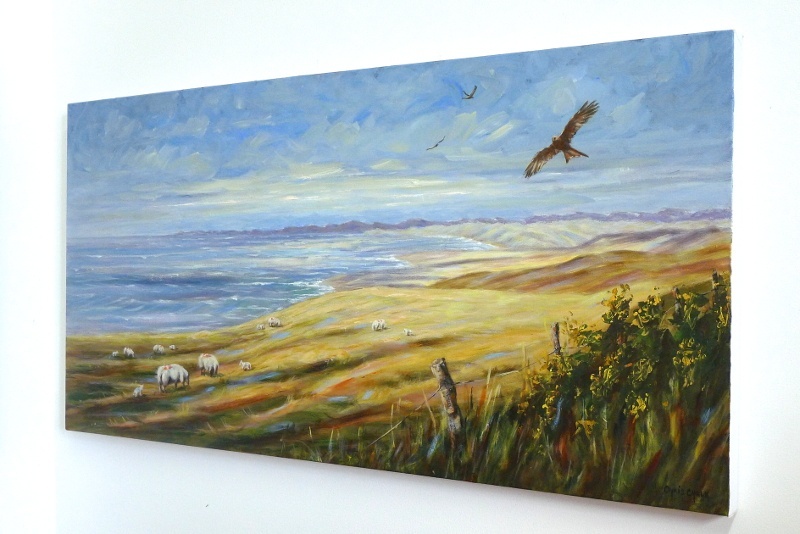 Original Red Kite painting in oils. A beautiful scene with Red Kites flying high over the west coast of Wales, Cardigan Bay in the background with sheep and new born lambs in the fields below. The view looks north to Snowdonia National Park, seen from the west coast road a little north of Aberaeron, near Aberarth. Painted on Loxley Gold stretched box canvas, 40 inch x 20 inch x 1.25 inch - This painting can be framed, or hung un-framed as shown.